Come on down to New Zealand and tackle a fresh professional challenge! Be involved in developing a new service offering. 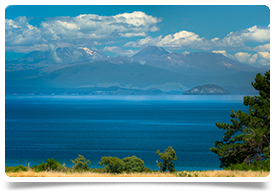 We’re seeking an experienced and enthusiastic Consultant Geriatrician for the District General Hospital in Rotorua, in the beautiful Lakes region of the Central North Island. The Lakes Older Persons and Rehabilitation Service team is based in a purpose built 16-bedded ward that provides care for older patients and those requiring rehabilitation or who have suffered a stroke. The team currently consists of one other geriatrician, a geriatric nurse specialist, a registrar and a house officer, as well an excellent interdisciplinary team of allied health professionals and nurses. They provide outpatient and community assessments at both the Health Board's Rotorua and Taupo hospital sites. They work closely with their surgical and anaesthetic colleagues and anticipate the development of a perioperative frailty service in the near future. They also run a specialist Parkinson’s disease interdisciplinary clinic and also a memory clinic. They have close links with the physicians, older person mental health services, Needs Assessment and Service Coordination service (NASC), and community-based colleagues. In response to a local aging population, they anticipate the development of an acute inpatient geriatric service that would be well-placed to provide advice to the on-site orthopaedic and surgical teams. The development of this service will be a key part of this role. For this role, you will have broad specialist experience in the health of older people/ care of the elderly. In addition, you will have a sound understanding of contemporary models of care and will be an innovative thinker with ideas to contribute to the further development of the service. Although it’s a relatively small city (population 59,000), it’s vibrant and has a huge tourist and adventure sports industry that drives the local economy and welcomes tourists from all over the world, all year round. Ideally, you will hold FRACP and full Vocational registration with the Medical Council of New Zealand (MCNZ). If you are an overseas specialist geriatrician, you will hold equivalent specialist qualifications from either Australia (FRACP), the UK (via CCT), Ireland (via CCT), Canada (FRCPC) or USA (Board certification) that will enable Provisional Vocational (long term) registration or Locum Tenens (short term up to 12 months) registration. These are the specialist pathways for medical registration in NZ for Geriatricians and we can assist with medical registration and the work visa, if successfully appointed.